The purpose of a marine inverter for your boat is to supply much needed power for your electrical appliances. Inverters simply converts direct current to alternating current by increasing the voltage. The best marine inverter is the Xantrex 806-1210 PROwatt that has built in digital display for DC volts and output power as well as other clever features. Compared to fuel powered generators, the marine inverter offers silent, easy to install and maintenance-free power for all your electrical appliances on the boat. 7.4 Where Should the Inverter be Installed? The conversion of direct current to alternating current has a varying amount of efficiency from brand to brand. The average efficiency of most marine inverters is approximately 90% and its important that you look for these ratings. Ease of use is important as many of the highly rated examples include remote switches, heavy duty terminals, live data output and more. On top of performance, safety needs is paramount and surge protection as well as other features are critical. Below is a list of the best marine inverters for boats that offers efficient power for all your electrical appliances. The Xantrex is a popular marine inverter that includes a range of outputs including a useful USB port for additional charging. The built-in display shows live DC Volts and output power values that can be used for safety checks. Other features of the Xantrex 806-1210 PROwatt include a 12VDC input, GCFI plug, LED Display, optional remote and more. The maximum output of this inverter is 1,000 watts, which is ideal for the majority of boating electrical appliances. For an improved connection to the battery, included are heavy duty terminals that connect without any trouble. Many cheap alternatives can have poorly made terminals that can cause havoc with unreliable power. Overall, the 806-1210 PROwatt by Xantrex is the best marine inverter for the money, which combines performance and ease of use for a perfect package. The ProMariner 02012 is a premium inverter that outputs 2,000 watts. 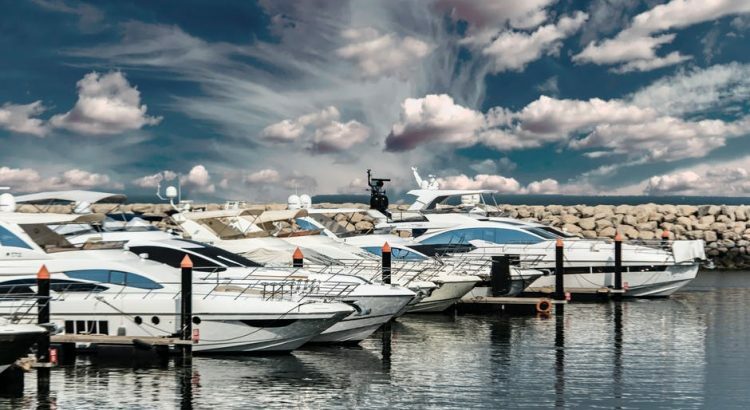 There is no escaping the fact that it is very expensive but the ProMariner brand are known for producing excellent marine products such as top rated marine battery chargers. With this marine inverter charger, you are able to choose between 7 three stage charging profiles for safe battery charging. This device also features a 2.8x surge rating with 1.0 power factor and an instant AC transfer switch. The 02012 is the upgraded model to the QS series and the main difference is Pure Sine Wave AC output. This is a similar quality of AC power that you will receive at home for all the powerful electrical appliances. The inflated price is due to the fact that it is a powerful high quality inverter as well as a marine battery charger. This is highly desirable and the ProMariner True Power is the best marine inverter charger you can buy but only if you can afford it. The Go Power is the most powerful marine inverter available with a continuous power rating of 3,000 watts. This is more than enough wattage to run multiple electrical appliances that require a large amount of power to run i.e. refrigerators. There are 4 AC outlets that you are able to plug into with built-in over and under voltage as well as overload protections. GoPower provide a 1 year warranty as peace of mind, which is good to know before purchasing. As with the other expensive alternatives, the Go Power uses high quality sine waves to provide excellent AC power. The Go Power is available in 1,000, 1,750 and 3,000 but the latter is the one to go for. The Power Bright is a powerful marine inverter with 2,300 watts of continuous power and a peak power rating of 4,600 watts. With a built-in cooling fan, it can handle all this power for long periods of time without overheating. For corrosion protection, the heavy duty case is made from anodized aluminum for durability whilst on the boat. This is pretty impressive considering the low cost compared with the alternatives. Other features include LED display of the input and output voltage, dual 3 prong 120 volt AC outlet, overload indicator and a power switch. There are no complex features as with the other more expensive devices but with the Power Bright, the focus is on performance and durability. The Rally Marine is the cheapest marine inverter available with dual AC outlets and a maximum output of 400 watts. Although it is a budget inverter, it has premium features such as corrosion resistant circuit board and clips for durability. Other features include two USB ports, replaceable fuses in the end caps and a power switch. The continuous output of 400 watts is respectable and it will be able to power a large number of electrical appliances on-board your boat. The budget marine inverter by Rally Marine is perfect for small boats and those looking for the cheapest device they can find. Ensuring that you have enough power when out to sea can be taken care of by the recommended inverters for boats above. Many include additional features such as built-in cooling fans, USB ports, multiple AC ports, safety protection and much more. The inverter works with your waterproof boat battery and will even charge it with some devices such as the ProMariner. Inverters vary in budget massively and its important that you get the best value for money by considering all the factors. The power ratings of marine inverters are determined via the wattage. The two ratings that brands state are continuous and peak wattage with the higher wattage resulting in a higher purchase price. Many electrical appliances require a certain amount of continuous wattage in order to function correctly. If you are planning on powering many refrigerators and other large appliances, its recommended that you purchase a high wattage marine inverter. The more expensive marine power inverters will use a Pure Sine Wave as opposed to the Modified Sine Wave. The modified wave form is much cheaper and works well with the majority of electrics. However, if you are using the inverter for sensitive electronics such as computers or stereos, the Pure Sine Wave form is recommended. A charger integrated into an inverter is an expensive feature and we have mentioned above that the ProMariner is the best marine inverter charger. However, other features such as remote controls, surge protection, heavy duty construction and additional AC outlets are all highly desirable. Where Should the Inverter be Installed? The inverter works with the battery and its important that they are close together to avoid voltage drops and long wires. As a rule of thumb, we suggested staying under 10 feet away from the battery bank that is completely dry and is ventilated. The efficinecy of inverters for marine applications usually run at a 90% efficiency rating. However, the wave form quality can reduce or improve the efficiency. For example, if the inverter was to use a Pure Sine Wave Form, it will run better overall and will use less power. For boats that are docked up all the time and use power from the shore, an inverter is not an essential product. However, when you go out to sea and require reliable AC power, a marine inverter will be required to convert the power. The recommended marine inverters above will all convert the direct current to alternating current for use with domestic electrical appliances.